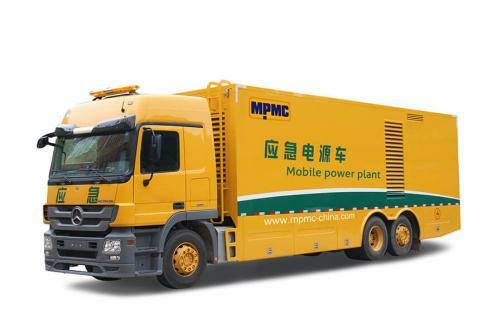 MPMC mobile power plant easy for movement, can be widely used in disastrous weather, continuous working for 10hours Suitable for emergency, standby and continuous use in Power plant, Oil filed Mining, Army, Telecom, Airport etc. Original high reliability of the generator set. Rapid response and timely arrival to the electricity spot. Great adaptability to different road conditions. User-friendly layout, including operating control room. Widely customized, such as lighting and hydraulic support legs. High quality plug, power cord.